Building perfection from chaos, Terrence Malick’s 1978 masterpiece is more than the last cinematic word in aching pictorial romanticism—it’s practically an act of magic. By all accounts, this runaway epic should have been a disaster: The notoriously indecisive director threw out vast chunks of script during shooting and editing, the cinematographer bailed halfway through the shoot, delays kept forcing location changes, and the crew practically revolted. In the end, the film—a love triangle set among the wheat fields of early-20th-century Texas—shrank from the intended Tolstoy-sized sprawler to an impressionistic 94 minutes, the whole rambling thing held together by liberal doses of music and the improvised voiceover of Linda Manz, an inexperienced teenage actor found on the streets of New York. Of course, anyone who knows anything about Days of Heaven will recognize that litany of potential flaws as some of the film’s greatest virtues. 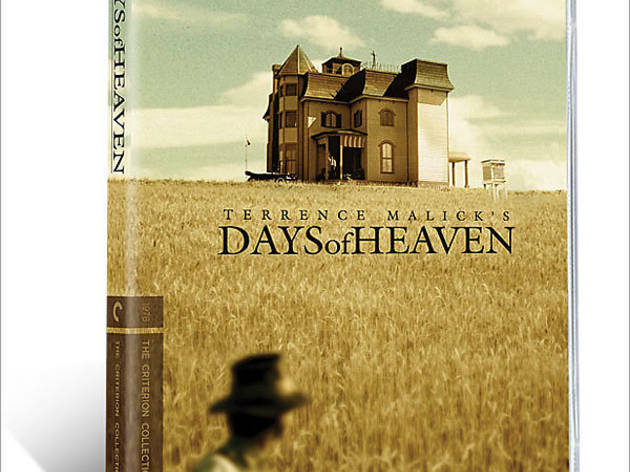 Criterion’s impressive new DVD edition reinforces the sense that cinematic providence shone on Malick during what was obviously a very difficult film to make. Since the director is famously publicity shy, a commentary from his chief collaborators (editor Billy Webber, art director Jack Fisk, costume designer Patricia Norris and casting director Diane Crittenden) offers welcome production anecdotes, and video interviews with co-cinematographer Haskell Wexler and cameraman John Bailey provide insight into the film’s unique, influential look. 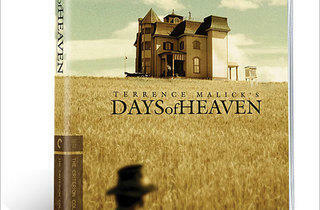 Their stories illustrate how this most troubled of productions became the most beautiful of movies.